By using intra-oral optical scanning devices, the need for patients to have a messy conventional dental impression taken of their teeth is eliminated. 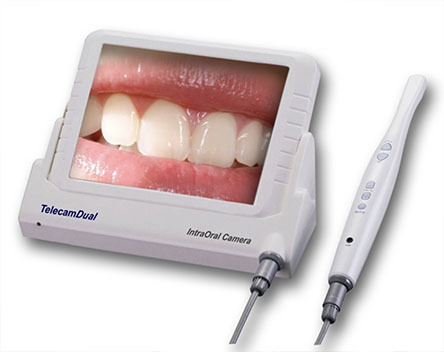 Digital optical impressions enable the dentist to more efficiently and effectively obtain an accurate computer generated representation of their patient’s teeth along with the surrounding tissues. 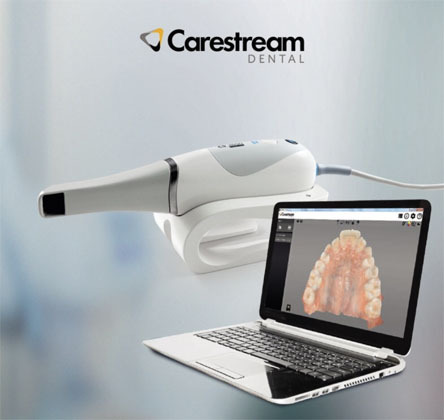 In addition to being much more comfortable for the patient, a digital impression eliminates the need for the dentist to either create a stone model from the impression, or to mail the impression directly to the laboratory for any type of work to be done. Digital impression information is transmitted electronically, significantly reducing the turnaround time of any needed outside laboratory work. It also allows the orthodontist to perform in-office digital treatment planning and fabrication of clear aligners and indirect bonding trays. The Most Comprehensive 3-in-1 for the Entire Maxillofacial/Airway Region: our Instrumentarium OP300 Maxio system gives our dental practice state-of-the-art technology to help our doctors diagnose potential issues more accurately and provide treatment with unprecedented confidence. 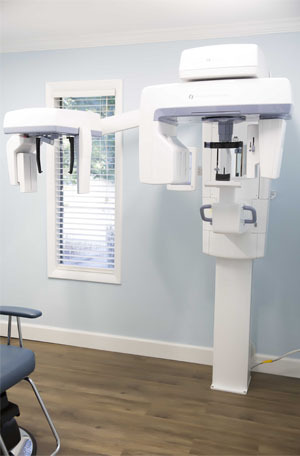 Unlike a traditional spiral CT scanner, this 3D system utilizes cone beam CT technology and provides precise, crystal-clear digital images while minimizing your exposure to radiation. OP300 combines an advanced panoramic imaging system with either cephalometric or cone beam 3D or a combination of both, giving you a truly adaptable platform. The information obtained from 3D CBCT imaging provides several substantial advantages for comprehensive dental treatment: improves localization of impacted teeth, identifies and quantifies asymmetry, can be used to assess periodontal structures, to identify endodontic problems, to plan placement sites for dental implants, to virtually plan and manufacture custom orthodontic appliances (Lingual braces, Invisalign), to facilitate orthognathic surgery treatment planning , and to view condylar positions and temporomandibular joint (TMJ) bony structures. Three-dimensional CBCT-assisted airway analysis also facilitates the diagnosis and treatment planning of complex anomalies including enlarged adenoids and Obstructive Sleep Apnea (OSA).